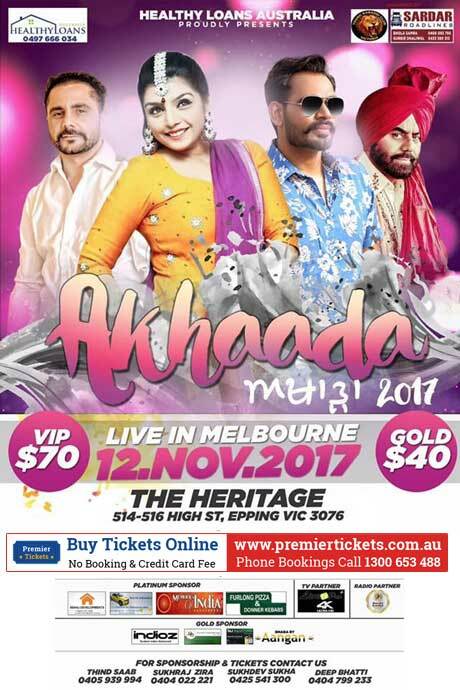 HEALTHY LOANS AUSTRALIA Proudly presenting AKHAADA 2017 Live in Melbourne on 12th November 2017. Full family show!! Book Sunday 12th November in your calendar to enjoy this show together with friends and family. Premier Tickets is Australia’s leading online event ticketing & marketing solution provider. We act as a channel between the event organizers and end customers helping our clients with hassle free event ticket booking, event marketing & promotion solutions. Contact us for any of your ticketing & marketing needs for AKHAADA 2017 – Live in MELBOURNE.